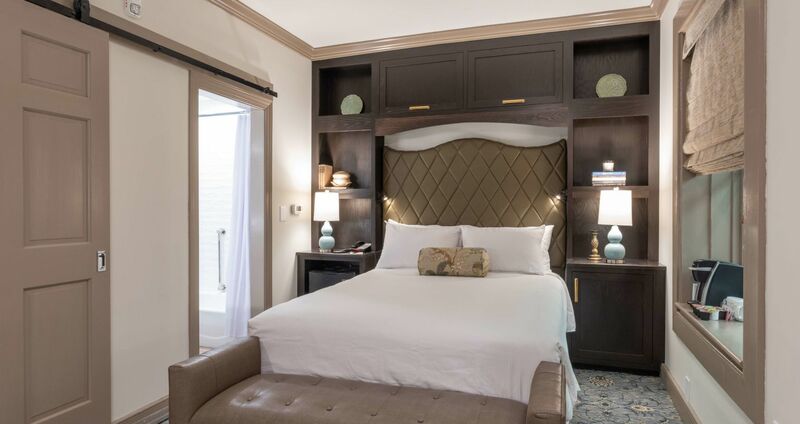 Our Charleston, SC accommodations are tastefully decorated in the same charming style as our other guestrooms and suites. 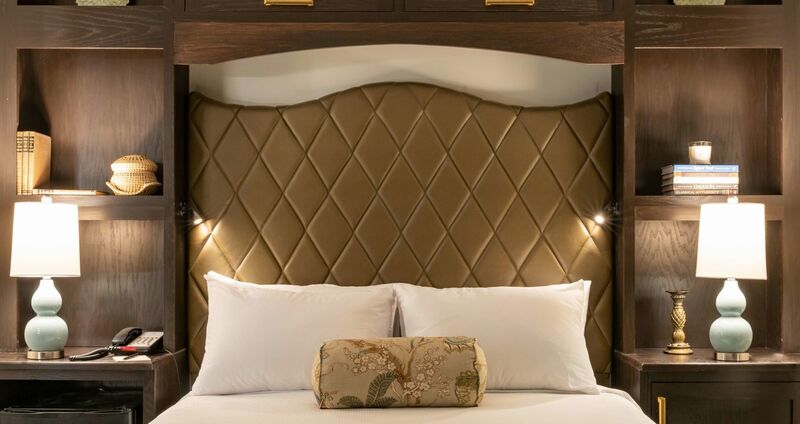 The Petite Queen Interior Guestroom, located in the Church Street building, features one plush queen size bed and views into the three story atrium. Shaded in a soothing palette of blues and greens and accompanied by modern amenities, this quaint guestroom is perfect for the light traveler. 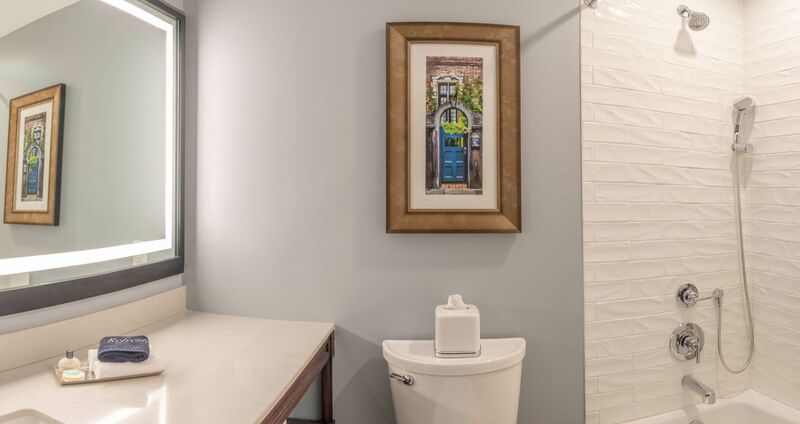 Bathrooms are highlighted with Italian Travertine porcelain tile, granite countertops, and spa quality Gilchrist & Soames bath amenities.